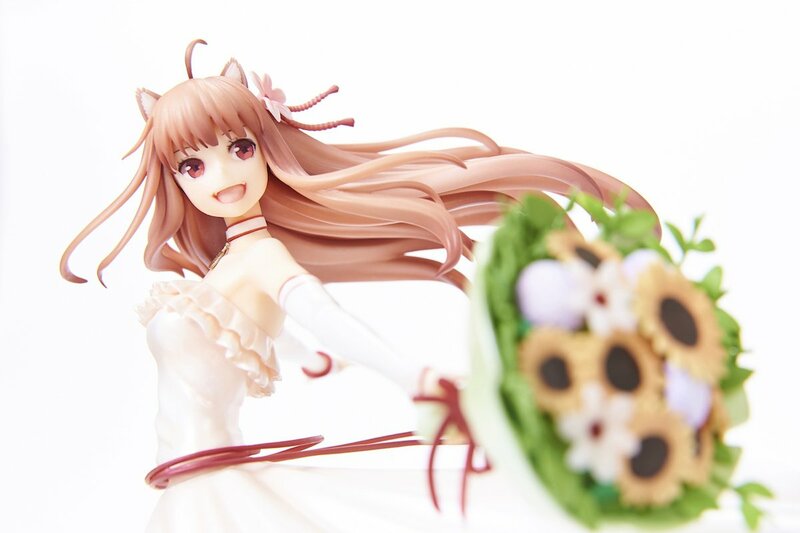 Tokyo Otaku Mode Launches First Figure Project, Opens Pre-orders for Spice and Wolf Holo Wedding Dress Ver. Figure! Photos shown are for reference only. The actual product may differ. Tokyo Otaku Mode Inc. (incorporated in Delaware, U.S.; representative: Tomohide Kamei; CEO: Naomitsu Kodaka; herein referred to as TOM) announces the opening of pre-orders for a figure of Holo, the main female character in the hugely popular light novel series Spice and Wolf. 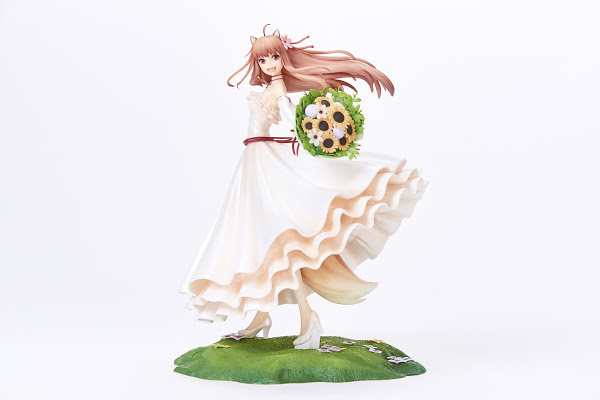 The figure, titled Spice and Wolf Holo Wedding Dress Ver., is the first figure project undertaken by TOM and was created in collaboration with figure maker Myethos. Spice and Wolf is a fantasy series that began as a light novel published by Dengeki Bunko beginning in 2006 and has a large fanbase due to its extensive developments including a manga adaptation, anime, and visual novels. Last year, the series reached the 10th anniversary since its initial publication, and to date a variety of new projects have been announced including the opening of the Spice and Wolf & Isuna Hasekura 10th Anniversary official site. 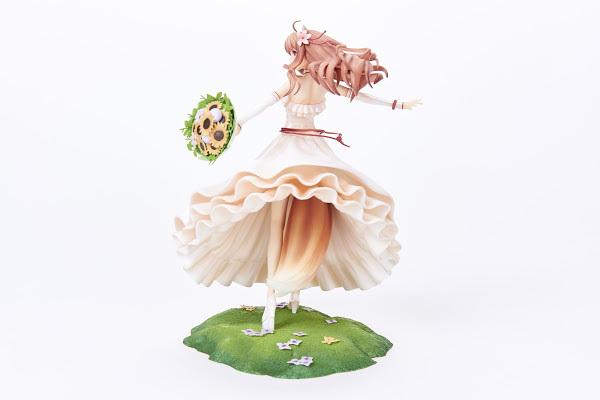 Joining in the celebration, TOM has collaborated with figure maker Myethos on the Spice and Wolf Figure Project to produce a figure of Holo wearing a wedding dress as seen in volume 17 of the light novel as well as on the cover of the artbook Ju Ayakura Artworks: Spice and Wolf. The figure costs 11,800 yen (plus tax) and was first unveiled to the public at the TOM booth at Wonder Festival 2017 [Winter] where it drew big crowds. Pre-orders for the Spice and Wolf Holo Wedding Dress Ver. figure are open now, and additional details can be found on Tokyo Otaku Mode Projects.